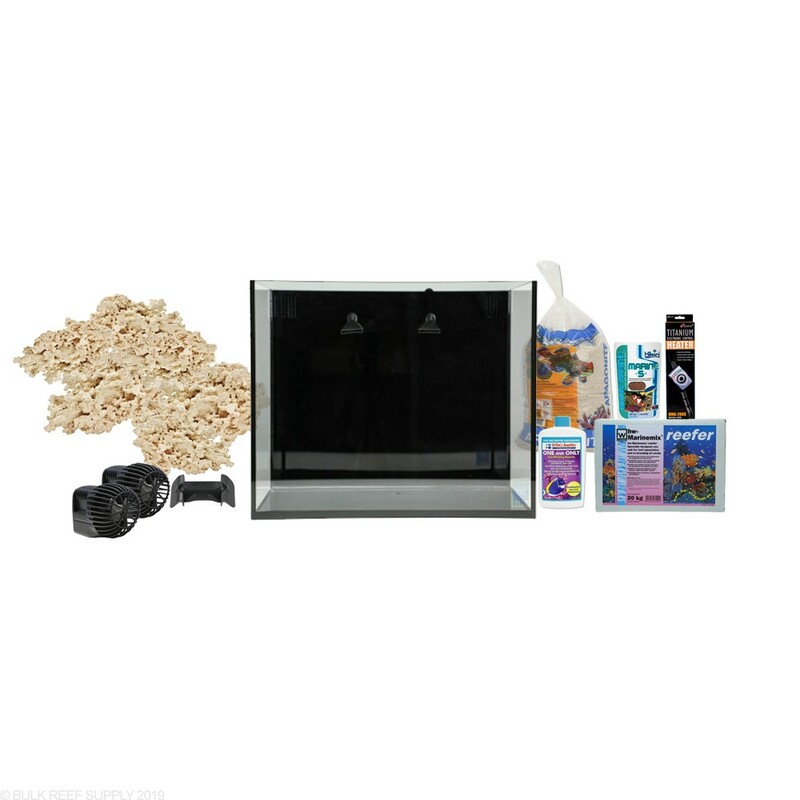 Start Your Own 40 Gallon Saltwater Tank! 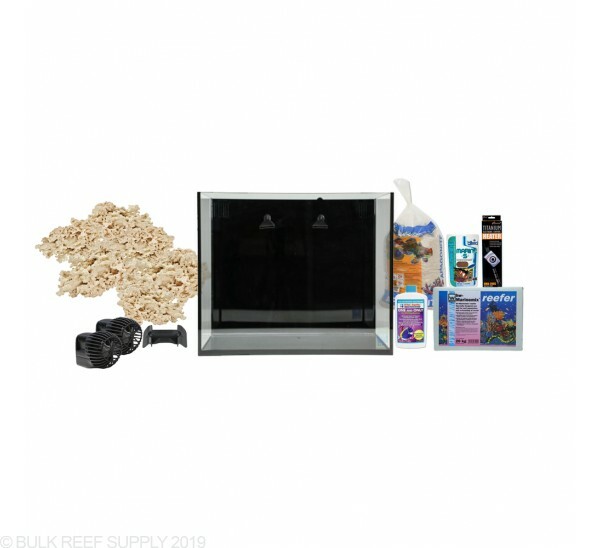 Everything you need to start a beautiful marine all in one aquarium in a single package. 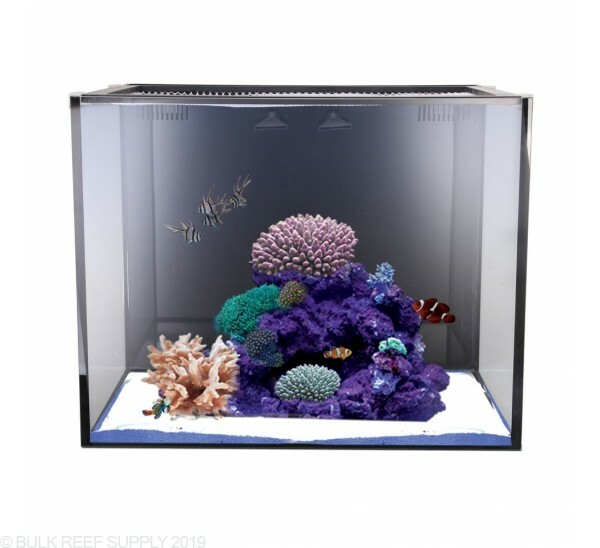 If you want to start a saltwater tank, now is the best time to do so! Over the past 10+ years keeping saltwater fish has become easier as technology gets better, and as our knowledge about marine ecosystems grows. 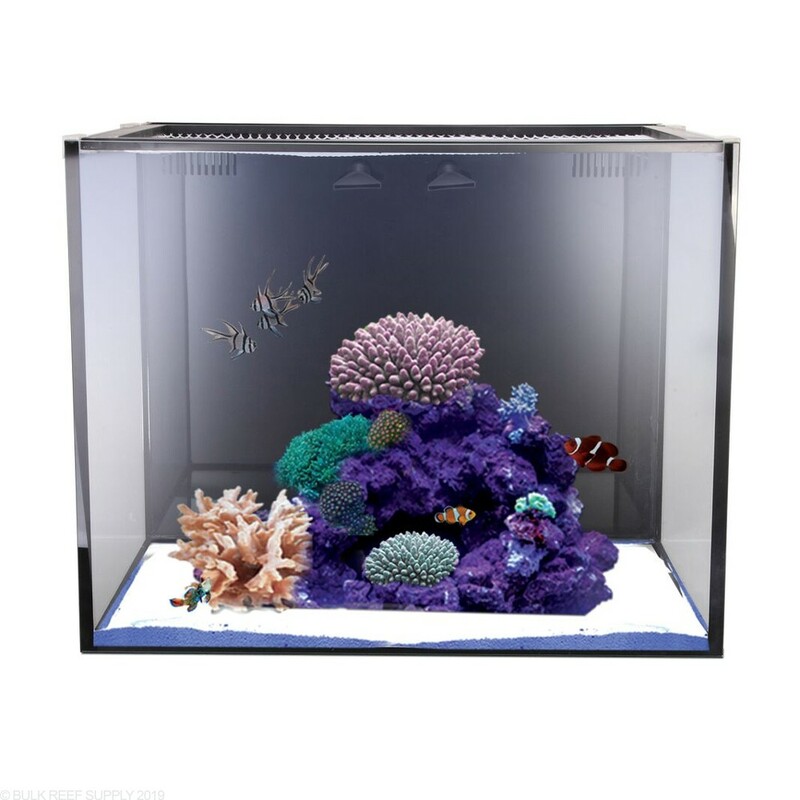 Innovative Marine Nuvo Fusion series of All-In-One aquariums are stylish and functional. That is why they are our number one choice for a nano size tank. Note: Due to Customs restrictions we are unable to ship any type of food to Canada. The food in this kit will be removed and refunded if being shipped to Canada. What lighting options are out there for this tank? I'm on a budget. I would personally look into the Aqua Illumination Prime LED lights and an 18" Prime Flex Arm for mounting. The Prime HD light just went on sale for $199 and the flex arm is 29.99. For $230 you can have an awesome light that will grow most corals if they are placed correctly in the tank.